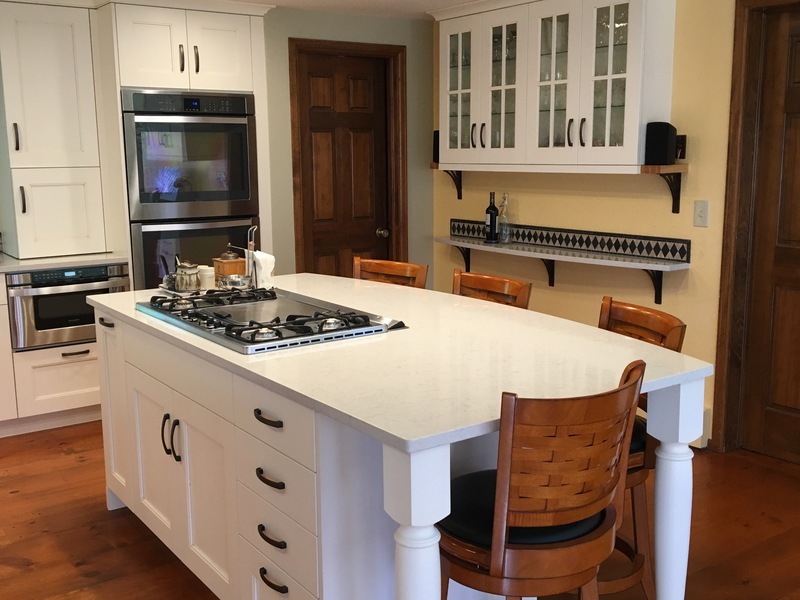 Phillip from Frankton, Colorado has shared with us his Ekena Millwork Nevio wrought iron brackets he recently installed in his newly renovated kitchen. Our wide selection of wrought iron brackets come in many shapes and finishes, and Phillip chose the sleek but subtle antiqued bronze that matches beautifully with the rest of his décor. 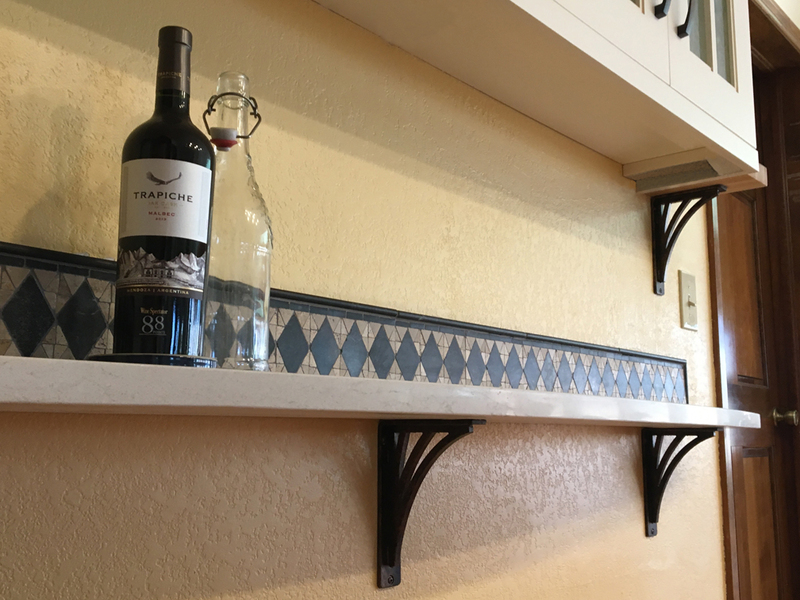 Other antiqued finishes for the Nevio wrought iron bracket includes brass, copper, pewter, silver, and gold, as well as a powdered coated black finish. 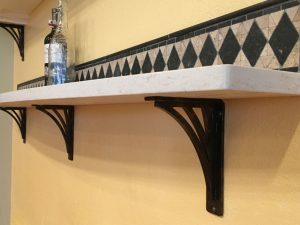 The wrought iron brackets we offer come in many intricate styles, sizes, and finishes, and come with pre-drilled mounting holes for easy installation. 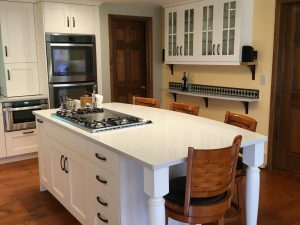 The heavy duty iron offers great support, making it the perfect choice for countertops and shelf applications. Click here to see our entire collection of Ekena Millwork wrought iron brackets and find the one that’s right for you!